Hiring the right commercial roofing construction company is a significant decision for a general contractor or construction manager. 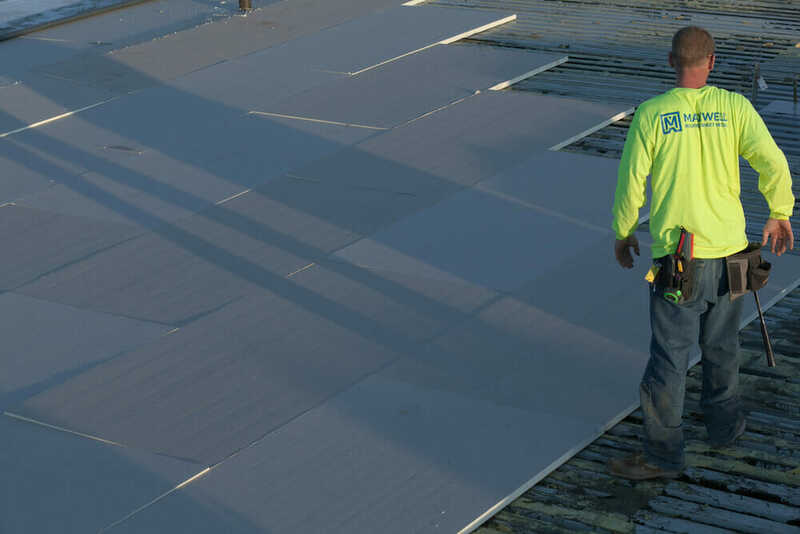 While it’s important to hire a commercial roofing company that meets your time and budget requirements, those aren’t the only factors. In fact, failing to consider other macro-level factors will likely increase the chances that your time and budget goals aren’t met. 1. They Have a Trusted Reputation in the Industry and Experience Meeting Your Specific Needs. Reputation matters when it comes to commercial roofing. It’s important to choose a roofer that has at least a decade of proven work experience under their belt. Be sure they have operated under the same business name during that time. At the same time, you want to ensure they have experience in meeting your specific needs. Whether you’re looking to construct a green roof or another more modern energy-efficient roof, it’s important to choose a commercial roofing company that has completed a project like that before. This ensures that they have the experience needed to handle your issue. 2. They Always Approach the Job Having Your Long-Term Best Interests in Mind. A company with integrity will not only stand by their work, they’ll also have your best interest in mind during each stage of a project. This is a principle we take seriously at Maxwell Roofing & Sheet Metal, Inc. From the very beginning, we offer free design services during the planning phase to help avoids mistakes and potential problems once the construction phase begins. We fabricate our own metal in-house to help you reduce costs. We also work with manufacturers to get the most out of your warranties. 3. They Have Proven to Be a True Partner Throughout the Entire Process. Want to ensure your roofing project is completed on schedule and on budget? One of the most important factors for accomplishing this goal is to select a contractor who has proven to be a trusted partner. If you’ve ever worked with a roofing contractor you were constantly having to chase down, you know exactly what we mean. At Maxwell Roofing, we realize that inefficient communication can be one of the most frustrating problems when working with a construction contractor. We don’t want any of our clients to be surprised or confused about any of issues or potential delays in the project. Hiring the right commercial roofing contractor in Middle Tennessee or Northern Alabama isn’t something that should be taken lightly. By taking the time to find a trustworthy company, you can rest assured that the job is going to be done right the first time. Maxwell Roofing has been in the business for over 60 years—and that didn’t happen by accident. If you’re looking for new roof construction help, we’d love to show you why we’re your best option. Just click here to contact us.